K&L Gates 4 Embarcadero Center, Suite 1200 San Francisco, CA 94111-5994 - Seating is Limited -- Register Today! 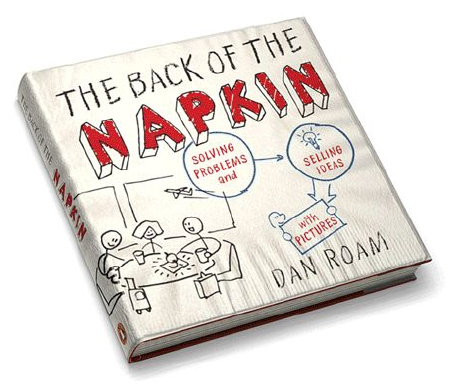 Member workshop fee includes a FREE copy of one of Dan Roam's bestselling books. Dan will personally sign your copy of the book at the event. Click JOIN C.L.A. on the left-hand menu bar to access Member discounts for this and all other workshops and events! Non-member workshop fee includes a FREE copy of one of Dan Roam's bestselling books. Dan will personally sign your copy of the book at the event. Senior and Student Member's workshop price includes a FREE copy of one of Dan Roam's bestselling books. Dan will personally sign your copy of the book at the event. Bring Student ID and Driver's Licence for check-in. Click JOIN C.L.A. on the left-hand menu bar to access Member discounts for this and all other workshops and events! Dan has delivered custom training seminars to many of the world’s most dynamic organizations including Microsoft, Boeing, Kraft, Gap, Intel, Siemens, Wells Fargo, the United States Navy, and the US Senate. Dan Roam will autograph copies of your book(s) following the workshop. Additional copies of the Dan's books will be available for sale at the event (25% OFF for CLA Members). 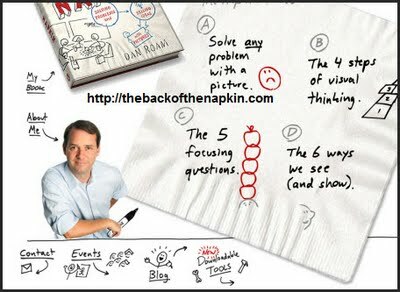 Dan is the founder and president of Digital Roam Inc., a management-consulting firm that uses visual thinking to solve complex problems for such clients as Google, eBay, Wal-Mart, etc. Roam and his whiteboard have appeared on CNN, MSNBC, ABC News, Fox News, NPR, and at the White House. ncalegal@calawyersforthearts.org. Include "Dan Roam Event" in the subject line of your email message.